In the wake of the disappearance of Sunbay Energy 2008 proposal for a plasma incinerator, Renewable Energy Management (REM) has stated that it wishes to build a “low temp” gasification plant to process both municipal solid waste and industrial/commercial/institutional (ICI) waste in Wesleyville, just west of Port Hope, Ontario. Port Hope Residents for Managing Waste Responsibly (PHR4MWR) had a massive turnout at their public meeting on April 24th. Dr. Paul Connett, world-renowned an expert on incineration and Zero Waste strategies, addressed the community about the risks of waste incineration and progressive alternatives to burning waste. PHR4WMR had also hosted an an information meeting last November so that the community would be aware of the latest incineration proposal by REM. It was a motivated crowd that attended the April meeting, and many left the meeting armed with lawn signs and information handouts. REM began the Environmental Screening process in November 2009. Project details have been inconsistent, with plant capacity projections ranging from 200,000 to 600,000 tonnes per year, with plans to process both Municipal Solid waste and Industrial, Commercial and Institutional waste. REM’s technology is unproven for processing mixed municipal solid waste. There is also no evidence that REM has had experience operating a plant of the size and with the feedstock proposed for the Wesleyville project. Last winter, REM invited members of Port Hope council and staff to visit a small plant processing medical waste in Poland, a facility that is not at all comparable to what REM proposes for Wesleyville. REM’s third Open House meeting was held June 27, 2013 and was well attended. The plant capacity has been downsized from earliest estimates. REM plans to receive 165,000 tonnes of waste at the site, of which they expect to recycle 25,000 tonnes in a “dirty” Material Recovery Facility (MRF) and they plan to gasify 140,000 tonnes per year. Their draft Environmental Assessment (EA) Screening report was not posted to their website or otherwise available for public review prior to the meeting though the document was “on display” at the Open House. Their “information package” handout can be found here. REM invites comments over the coming weeks. I was advised that REM expect that their EA Screening Report would be posted to their website around July 15th, concurrent with their submission to the Ontario Ministry of the Environment. Waste issues continue to be top of mind in Durham Region. Durham community groups hosted their first community screening of “Trashed –No Place for Waste” on May 23rd. Due to popular demand, an encore screening was held on June 19th in Clarington, the host community to the Durham incinerator, with 3 Clarington local councillors in attendance. Though the Durham incinerator is under construction, it is not too late to stop it. In Belledune, New Brunswick, Bennett Environmental built a hazardous waste incinerator that never operated thanks to sustained community pressure on the provincial government. The Bennett incinerator project was killed in April of 2011 after a five year battle. Covanta Energy has provided a rosy update about the incinerator they are currently constructing in Clarington for Durham and York Regions. Covanta recently hired a facility manager for the Durham-York incinerator. Durham staff expect commissioning activities to begin in March 2014. Durham councillors on many occasions promised residents “the best of the best” when it comes to the incinerator. A Durham Region staff report that would offer Durham,options to enhance incinerator monitoring beyond the bare bones plan recently approved by the Ontario Ministry of the Environment (MoE), has been deferred to a Tri-Committee meeting in September. Please monitor the Durham Environment Watch website for updates, and the meeting date and location. Please see the recently approved Air Emissions Monitoring Plan here. Media reports indicate Toronto will conduct a study on waste options. Residents should closely monitor study developments and engage to ensure the discussion does not devolve into the simplistic “landfill versus incineration” debate that proponents of incineration like to have. True Zero Waste options should be front and centre, and not be dismissed as “unrealistic”, as they were by Durham Region consultants, who identified incineration as their preferred option. Worse, Zero Waste terminology should not be co-opted by the proponent, as happened in Ottawa. On June 6th the Ontario government released a long-awaited Waste Reduction Act and Strategy. All stakeholders, including you – the public, – are encouraged to respond to the Environmental Bill of Rights Registry postings for the Strategy, and the Legislation by September 4, 2013. B.C. activists recently held a screening of the award-winning film “Trashed – No Place for Waste”. 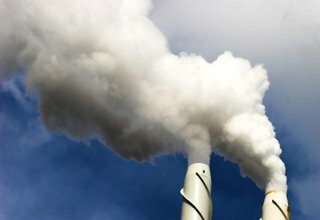 They made Metro Vancouver’s proposed incinerator an issue in the campaign leading up to the May 14th provincial election. Zero Waste B.C. surveyed candidates specifically seeking their positions on incineration. Responses from candidates who were elected can be found here. In late May, Zero Waste International hosted a Zero Waste workshop during the recent Federation of Canadian Municipalities conference and invited Zero Waste experts from Canada and the U.S. to educate municipal officials and decision-makers about Zero Waste principles and practices being employed elsewhere in North America and beyond. Metro Vancouver continues their site selection process with two sites in Delta making a short list of possible sites to host their second garbage incinerator. A short list of vendors was released last month. Monitor the project as it evolves here. What is the best disposal option for the “Leftovers” on the way to Zero Waste? Waste going to what will be North America’s newest incinerator (Durham-York incinerator) when it begins operating will NOT undergo a secondary sort, as requested by residents, to remove recyclables and hazardous waste. Waste audits reveal that recyclables and hazardous waste still get tossed into garbage bags i.e. the residual waste that will be burned at the incinerator.